Cars are getting more expensive. A fact that most automakers don't want the average Joe to know. According to Kelly Blue Book, new car prices rose by around 2% in 2018 and now cost over $35,000 on average. It's not just sedans and crossovers that are getting more expensive, pickup trucks have also seen their prices rise rapidly. In fact, with all the new luxury trucks available on the market, many owners are swapping out their luxury sedans for trucks. Some of these trucks can reach or even exceed the $100,000 price mark and The Wall Street Journal says the average selling price for a pickup truck is now over $44,000 - that's more than a base BMW 3 Series. According to data from JD Power, the $44,000 average transaction price for pickup trucks is 61% higher than it was just a decade ago. This is a much larger increase than the average for all vehicles, which only rose by 28% over the same decade. US automakers have clearly noticed how much profit they can make from pickup trucks and companies such as Ford have already abandoned slower-selling sedans and hatchback models to focus on trucks and SUVs. 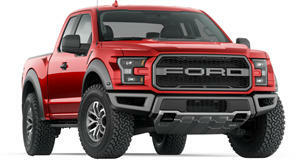 The big three American automakers, Ford, GM, and FCA account for more than 90% of full-size pickup truck sales, partially due to the 25% tariff on foreign-built trucks. 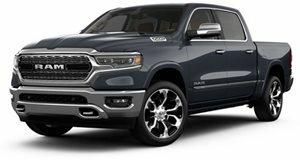 Looking around at the top trim pickup trucks, a Ford F-150 Limited starts at over $67,000, a GMC Sierra Denali starts at over $56,000, and the Ram 1500 Limited starts at almost $53,000. Most of these trucks can match or exceed the luxury provided by pricier luxury sedans but these are still large sums of money to pay for what used to be work vehicles. GM president Mark Reuss showed some concern over rising truck prices saying, "The engineering challenge will be how we achieve more upside in the trucks without adding more cost and hitting that price ceiling.” These prices only get higher as you move up to heavy-duty trucks as we are now entering the era of the $100,000 pickup. 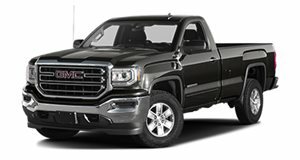 GMC has fitted its new Sierra 1500 with a trick rear tailgate and carbon-fiber reinforced bed.